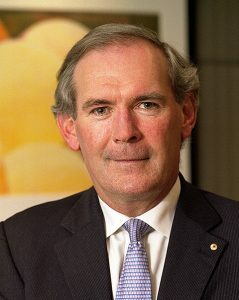 Qantas has appointed a former senior Australian public servant, diplomat and current university academic to the board. Michael L’Estrange will take his seat on the board as a Qantas non-executive director immediately, the company said in a statement on Thursday. The former Secretary of the Department of Foreign Affairs and Trade, Australian High Commissioner to the UK and Cabinet Secretary is currently a non-executive director at mining giant Rio Tinto and a professor at the National Security College at the Australian National University. Qantas chairman Leigh Clifford, who was Rio Tinto chief executive from 2000-2007, said L’Estrange’s would add to the depth of knowledge on the board. “Michael has had a distinguished 35 year career as a Department Secretary, a High Commissioner and senior academic. He has been a trusted adviser on international relations and broad policy issues to successive governments,” Clifford said in a statement. L’Estrange said it was an “absolute honour” to join the Qantas board. The appointment of L’Estrange brings to 10 the number of directors on the Qantas board.